Decided to share with you some Holiday Tips to stay on track this season! 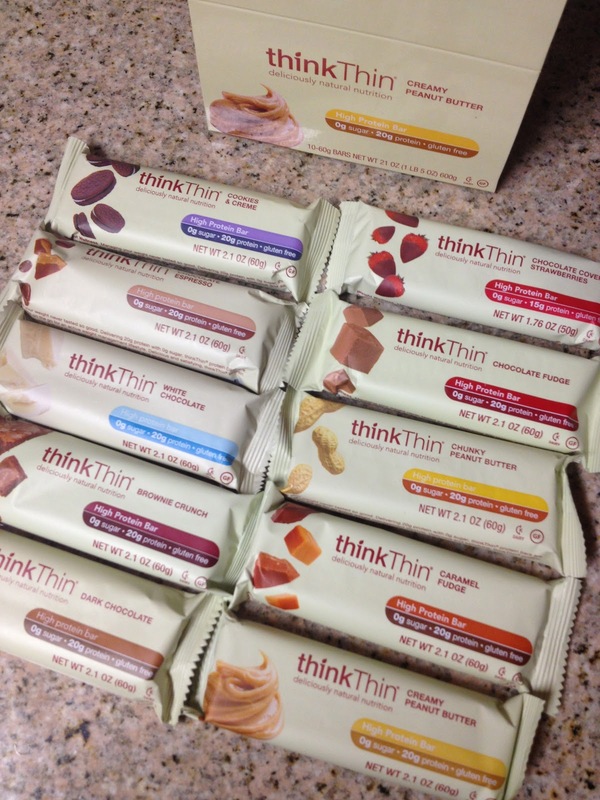 12 varied and delicious flavors make up the core offering of the thinkThin® line of protein bars and a pantry staple item in households across the country. With 0g sugar and 20g protein, this mighty delicious food provides a burst of clean energy, a moment of relaxation, and satisfaction for those in need of taste and sustenance. It is also friendly for those monitoring their sugar intake. This bar is the #1 ranked natural weight management bar (SPINSscan research). 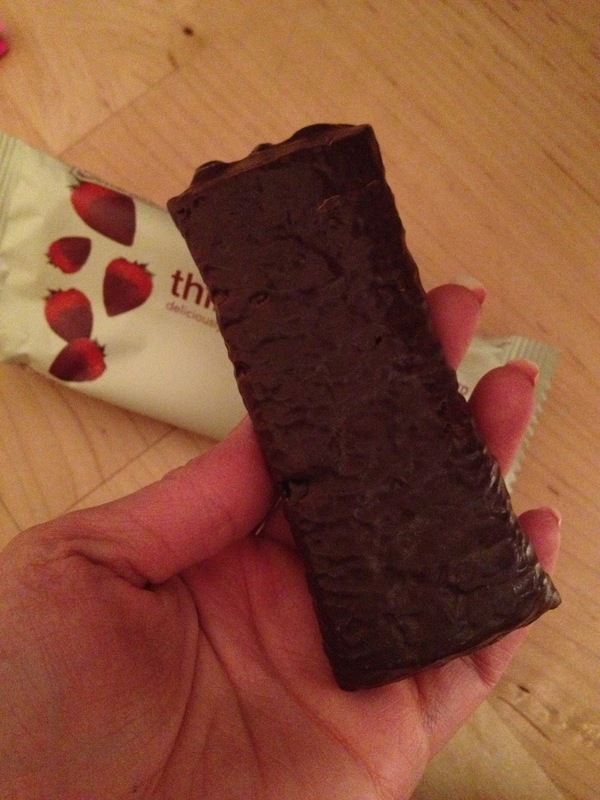 Our thinkThin®High protein bars can be enjoyed in the morning with coffee or tea, before exercise or for a delicious burst of energy any time throughout the day. Chocolate Covered Strawberries: Right when I tore open the packaging, I could smell the strawberries and chocolate! Seriously, it was like BAM! Right back to the days when I used to make chocolate covered strawberries for bake sales or class mates! However, even though there are no real chunks of strawberries in the bar, it still tasted very much like it! And the chocolate flavor is pretty legit too! After a while though the chocolate gets a bit too sweet for my taste personally, so I think next time I'd eat half the bar, and save the other half for another time! 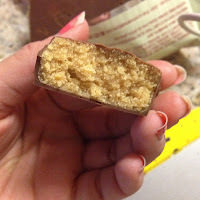 Chunky Peanut Butter: You all know my obsession with peanut butter, so I may have set my hopes too high! It does have a peanut butter taste, but it's kind of mild, not really strong, or I guess not strong enough for my liking! 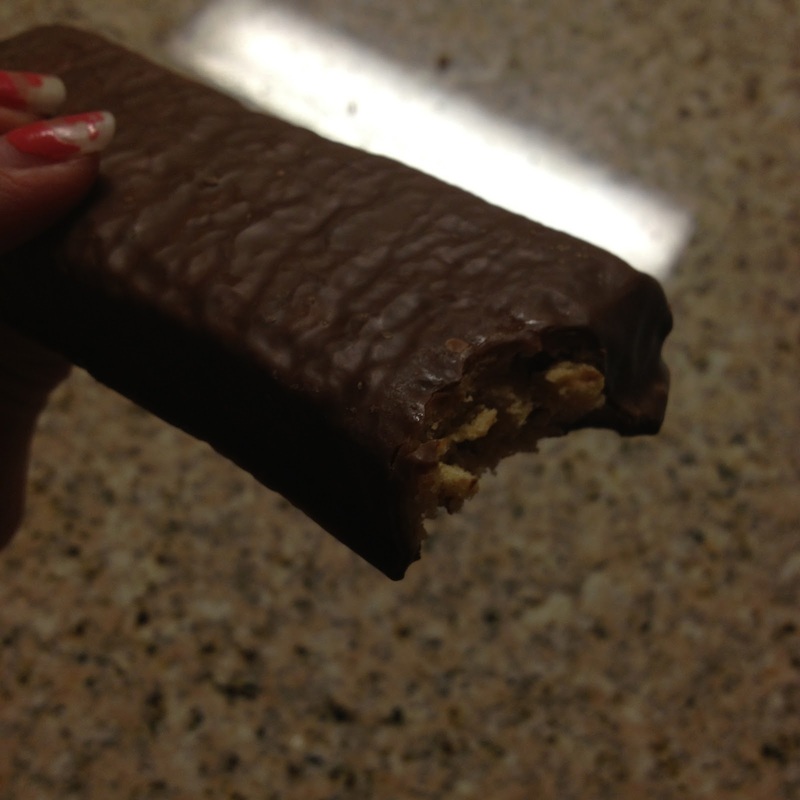 I loveee my peanut buttery goodness! Also it was described as "chunky" so I was expecting nuts of some kind, however it didn't. It was crunchy from the soy crisps, so I guess that's where the "chunky" part comes in! Creamy Peanut Butter : This is almost exactly the same flavor as above, but the texture is different! Again, the peanut butter taste wasn't very strong for me, or as legit as peanut butter should be. But this bar did not have the same crunch or grainy texture because it didn't have soy crisp like the Crunchy bar does. Cookies & Cream: On the outside of the bar, there's a nice sweet, light and creamy flavor! On the inside there's a nice thick and chewy chocolate almost brownie like texture. There's also soy crisp chunks which makes the texture kinda grainy and crunchy! White Chocolate: The outer layer of this bar is a nice, sweet and light white chocolate. The middle is chocolatey goodness and there's actually cocoa or chocolate pieces! The flavor was light and mild, definitely not too sweet which was good! Dark Chocolate: This bar was a bit thicker and harder than the rest. Not sure if it was supposed to be? And this was good because it was not too bitter, like some dark chocolates tend to be! Chocolate Espresso: This one tasted just like a coffee bean! There were also like, espresso coffee bean-like chunks on the inside! I'm not much of a coffee person [don't have to have it, but don't hate it either!] so this was an ok flavor for me. Kind of bitter, like espresso tastes! 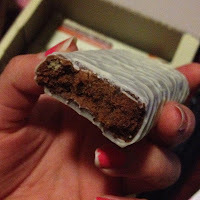 Chocolate Fudge: This bar was softer than the others, which I really liked! It tasted like a pure chocolate candy bar. It wasn't too sweet or too bitter. Just perfect! I think it was one of my favorites! Caramel Fudge: This was like the chocolate fudge one, where it was also softer than the other bars! It had a strong caramel flavor and smell and was pleasantly sweet. It was not overbearing at all. The outside layer was made of chocolate and the inside tasted so nice and caramely, another favorite! I did like the bars! Some to me were a little too sweet though. What?! How can too sweet be a bad thing?!! Well when you've had a fewww... :P.. bars in one night, the sweetness gets to you! Now they aren't 100% clean because there is maltitol in it and soy, which through my research some say isn't a clean ingredient. BUTTT I will say that these are DEFINITELY a great alternative to it's unhealthy counterpart! 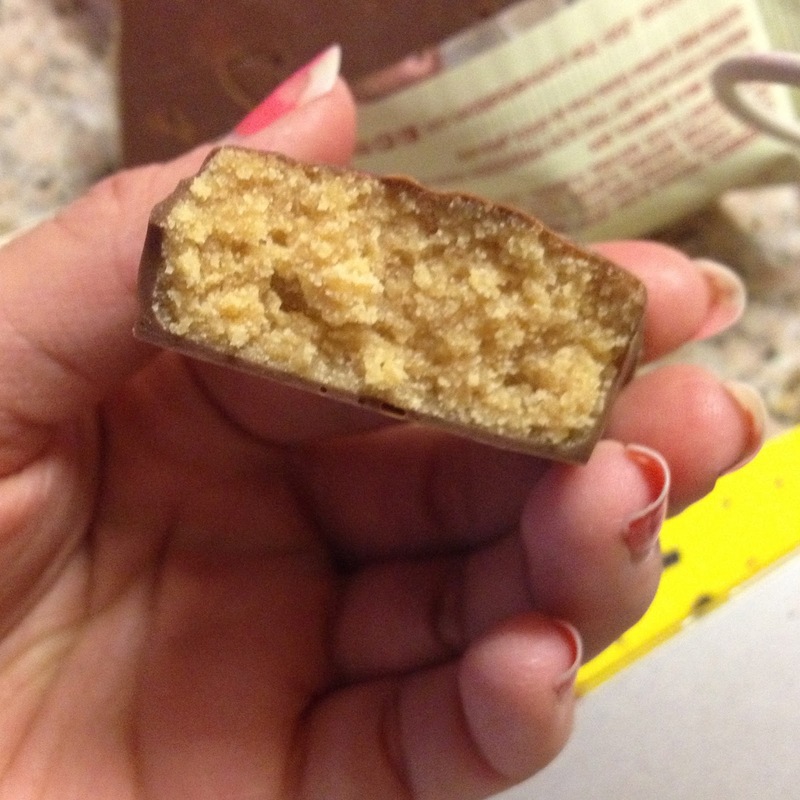 Just saying, you'd want to eat thinkThin's caramel fudge bars over an actual caramel fudge! And these at least have a great amount of protein! I think the best time to chow on these would be the morning or right after a workout, and get all that FANTASTIC protein straight to your gorgeous muscles, or to fuel you for the rest of the day! 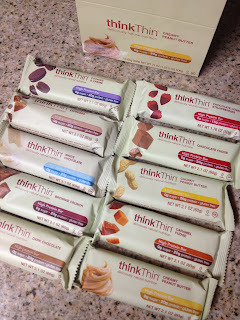 Thank you so much thinkThin for letting me try your line of protein bars! I thoroughly enjoyed them! Visit their online store to pick up some thinkThin products! It's the Holiday Season! I hope everyone has spectacular plans!!!! Christmas time, the New Year, what a crazy, busy festive time of the year! This means it is usually the time for all loved ones to come together, celebrate what the holidays are truly about, and also feast out on spectacular food. I know I bet you're like OH NOOOOOO! How can I resist my Great Aunt Maggie's cakes and goodies and pies?!?! Take one cookie, or one piece of pie. Here are some tips that will hopefully keep you in check during the Holidays! Keep up with your food and fitness journal! Check out a little more about these journals here. Try and keep up with it! I know I sometimes end up just writing everything in a hurry at the end of the night before bed, and because of this I may sometimes end up missing some things I ate throughout the day, or important feelings I didn't jot down right at the time I was feeling them! So try and stay on top of it! Also write down your goals for yourself, whether it's to lose weight, be slimmer, fit clothes better, etc! And when you're faced with allll that temptation, KEEP IN MIND THOSE GOALS! Will they be sabotaged? If so, DON'T DO IT! If you're at a family get together, fill up on the healthy shtuff so you're full before the massive dessert table! That means greens, veggies, fruits, lean proteins, YUM. Also, try and eat slowly! Savor each bite! This way, people will already be on their 3rds and you'll [hopefully] still be on your first place! Not only does it help to say no when others prod you to get more food, but it also helps digestion because you're really breaking down all that food before it even hits your stomach! Don't Tempt Yourself, Get Distractions! If you don't want to tempt yourself, DON'T LOOK AT IT! Try and keep yourself occupied on your current food in front of you, or play with the little ones to distract yourself! Enjoy the "party" aspect of the season! Get social, talk to your family members, have a good time! Enjoy people's company! It's not ALWAYS about the food! Tell your family that you want to make a dish for the holiday feast-ivities! And when you do, look up a healthy recipe of a favorite guilty food of yours! I'm pretty sure everything unhealthy has a clean eating recipe somewhere online! Maybe you'll let yourself indulge a little bit, that's fine! But again, MODERATION. You can try a little bit of everything, but keep the portion sizes reasonable! Sometimes we confuse hunger for thirst! So if you're at the dinner table, just had 5 plates and are about to grab that 6th, down a water bottle or half a liter of water! It'll fill ya right on up! I always say this because I've learned from my past mistakes: If I'm too restrictive on myself, that "diet" mindset will soon backfire and send me spiraling out of control and I'll eat allll the naughty things in sight! So let loose a LITTLE bit. Realize how I said little! Don't go crayyyyzy on me now! Don't do this! Eat your food, and then set a point to stop! Don't keep going back to that food table to grab munchies after munchies. If you do plan to indulge, try and keep your loose eating around the actual holiDAY! Don't lengthen it out into a whole month or into the new year! End if right then and there once you're done with your treat meal! Then, MOVE ON. I know after you're stuffed full, all you want to do is snuggle on that couch with a warm fuzzy blanket and chill in your jammies all night watching reruns of Elf on FX. Don't do it! Take a nice post-meal walk with your family! Or play with the little ones while they're on their sugar highs! Get moving a little! The little things do help! Although these tips areeee pretty obvious, I hope they have helped a little bit! Stay on top of it at the end of this year, and slide into the New Year an awesome, stronger, and better YOU! hey girl, thanks for the review! its great to see you doing reviews on different protein bars! also i was just wondering if you take any supplements pre-workout/post-workout besides protein bars? thanks! I'll be doing an overall supplement post soon!!! This is a great review. I like the nutrition facts of these bars and that they contain 20g of protein. 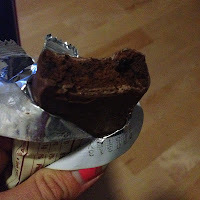 I usually eat Quest bars since I did not know of any other good quality protein bars. I am excited to try these bars especially the chocolate covered strawberry flavor. Make sure to check out my website michelle.otero.com as it continues to grow and I hope to also provide helpful tips like yours. Rise Bars & Back Workout!